DrumUp is a content marketing app that enables users to discover and curate relevant online stories to distribute to their own social networks. The posts can be scheduled for multiple accounts with just one click and then users can track their performance through engagement analytics. In this article, we cover user reviews and pricing. Ready to try DrumUp? Get a free trial. Users who gave DrumUp a positive review like that its design is easy to use and intuitive. Some also appreciate the content scheduling feature, noting that it is a great time saver and allows them to have plenty of social media exposure. One user who left a positive review of DrumpUp on G2 Crowd said that he likes the recommendation feature, which enables him to choose the best post so that his followers get more relevant and engaging content. He also loves that he is able to update his social media accounts from one dashboard. Users who gave DrumUp a negative review complained that the software often experiences glitches, particularly when posting images. Some also noted that DrumUp provides only email support, which can be problematic for issues that need urgent attention. One user who left a review on Capterra said that getting in touch with the customer service team can be frustrating because he can’t directly chat with a rep to get immediate solutions. He added that he often has to manually add images to his tweets because the software constantly hangs or fails to correctly post his pictures. DrumUp offers four products, each featuring capabilities that depend on a user’s needs: Social Media Management & Content Curation (ranging from $15 to $159/month), Content Promotion ($9/post/week), Content Discovery API ($99 to $199+/month), and Employee Advocacy (starting at $95/month). 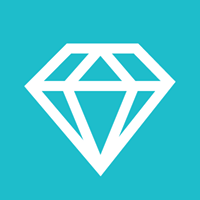 *Content Discovery API consists of two plans: Starter ($99/month) and Business (starting at $199/month). The Starter plan comes with 10,000 API requests per month, while the Business plan includes unlimited API requests per month. **Employee Advocacy’s features include unlimited shares on social media accounts by employees, contests and gamification, one-click multiple account-sharing options, and more. Visit their website for pricing details per number of employees or contact their sales team for a customized quotation. Ready to try out DrumUp? Get a free trial. What are the different plans for DrumUp’s Social Media Management & Content Curation product? DrumUp offers four subscription plans under this product: Starter ($15/month), Pro ($39/month), Small Business, ($79/month), and Agency/Large Business ($159/month). They differ in the numbers of social accounts, posts per day, content streams, RSS feeds, and posts in the library. Each plan comes with its own respective free trial. Does DrumUp have mobile applications? Yes. 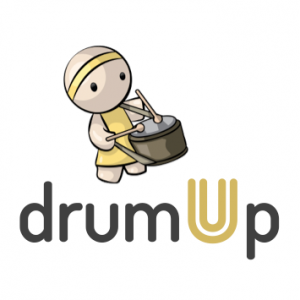 DrumUp has downloadable apps for iOS and Android devices. Not sure if DrumUp is the right fit for you? Read our reviews of all top content marketing software providers or check out one of these three DrumUp competitors.